Join us in a night of mystery and murder. Can you discover the culprit? Come dressed as a gangster, cabaret dancer, godfather, flapper, pimp, F.B.I. agent, hit man or any other 1920's style character. The evening includes a three course buffet, raffle and prizes. 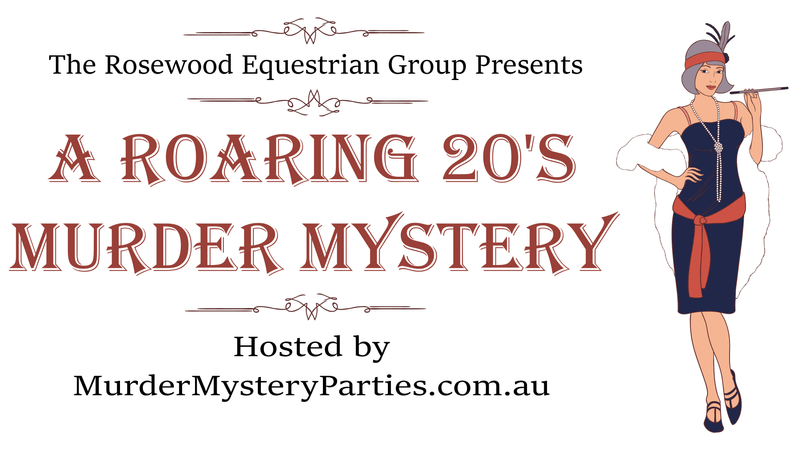 Hosted by The Rosewood Equestrian Group and MurderMysteryParties.com.au.